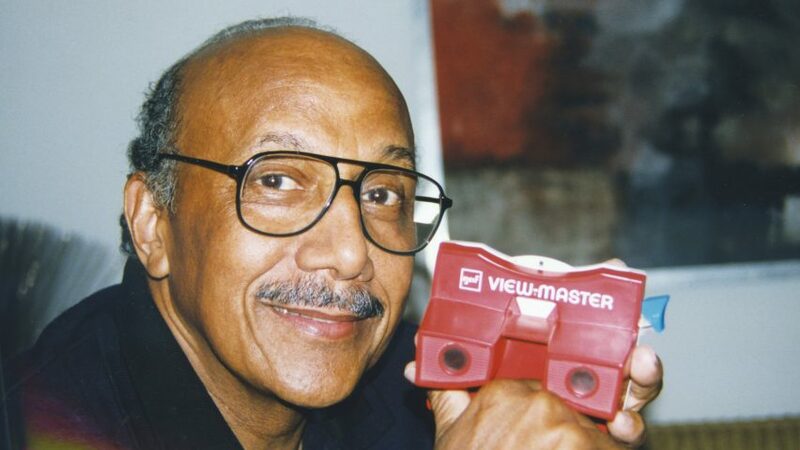 Charles Harrison, the industrial designer who revolutionised the View-Master toy and the plastic trash can, has passed away aged 87. Harrison died on 29 November 2018 in Santa Clarita, California, from a bacterial infection, the New York Times reported. The late designer is celebrated for paving the way for African-American designers with his reinventions of consumer products. Among these was his transformation of the View-Master – a photography device that lets users view images in 3D – which turned it from the clunky version first introduced in 1939 into a lightweight, red plastic alternative. Completed in 1958 for small design firm Robert Podall and Associates, the redesign shifted the product from a speciality photography item to a popular children's toy. Off the back of the successful remodel, Harrison was employed in the design team of American department store chain Sears, Roebuck & Company 1961. He previously applied for a role at the company but had been refused on account of his skin colour. Harrison's hiring made him the first black person to be given a role at the company. He spent nearly 30 years at the company, progressing to its chief designer and developing over 700 consumer products – including a see-through measuring cup, a riding lawn mower and the cordless shaver. Harrison's designs were intended to make life easier, be intuitive, and not require instructions – drawing from his struggles with dyslexia. Among his career highlights was the transformation of the clunky metallic trash can into a rectangular polypropylene version on wheels, which provided an early model of bins today. He also created a sewing machine for travelling, reducing the traditional size by one quarter, in collaboration with Ted Nishigami from Japan and Kenneth Grange from the UK. The designer was recognised for his accomplishments in 2008, when he became the first African American person to receive the Cooper Hewitt, Smithsonian Design Museum's Lifetime Achievement Award. In the accompanying citation, the institution credited him as one of the "first African Americans to enter the design field". "During his distinguished career, Harrison maintained an unwavering commitment to the needs of the average consumer," said Cooper Hewitt's press release at the time. "Harrison has improved the quality of life for millions of Americans through the extraordinary breadth and innovation of his product designs." Born in 1931 in Shreveport, Louisiana, Harrison picked up his knack for design from his father, who taught industrial arts at Prairie View A&M University in Texas and the Phoenix Union Colored High School – where Charles also studied and graduated. Harrison's further education included studying at the School of the Art Institute in Chicago, and a masters at the Illinois Institute of Technology, which he completed in 1963. In between the two, he was drafted in the US Army and posted to Germany, where he served in the topography unit. He married Janet Eleanor Simpson in Chicago, and has a son, also called Charles. The designer retired from his position at Sears in 1993, then worked as a part-time professor at the University of Illinois at Chicago and Columbia College Chicago. He detailed his life's work in the autobiography called A Life's Design, which was published in 2006. Harrison is survived by his son and two grandchildren. Main image is by Joeffrey Trimmingham. All images are courtesy of Cooper Hewitt, Smithsonian Design Museum.